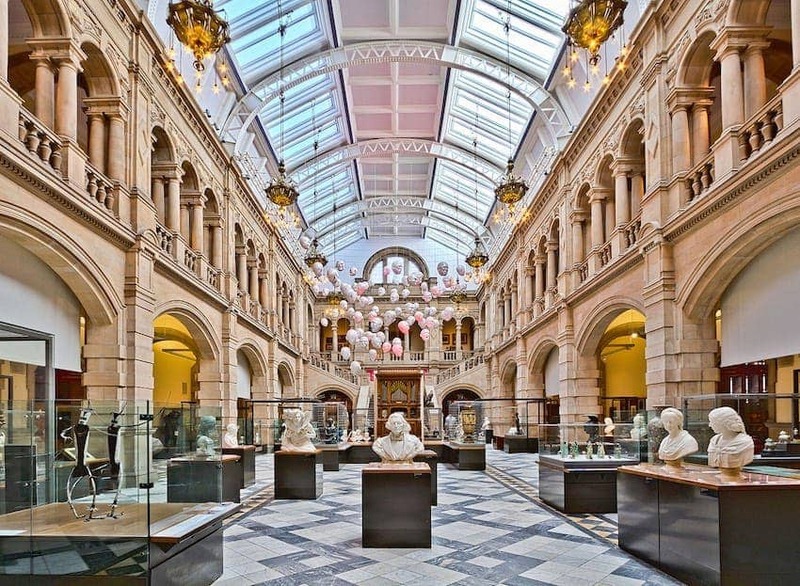 The Kelvingrove Art Gallery and Museum in Glasgow opened in 1901. A Spanish baroque building of local red sandstone, it is the most visited museum in the UK outside London. The centrepiece of the Centre Hall is a concert pipe organ purchased for the reason that without it, 'the art gallery would be a body without a soul'! The museum has a world renowned collections of arms and armour and a vast natural history collection. The art collection includes many outstanding European works, Old Masters and Impressionists, as well as the notable 'Christ of Saint John of the Cross' by Salvador Dali.